An all female line up of some really tasty reggae music brought just in time for your weekend laid back listening needs – curated with love by Sumer Mehta (TheDarkter) – Founder of The Harbour Press and one half of Harbour Dubs. While passionately dividing his time between running a screen printing studio and various projects as a Photographer, Video Editor, Set Designer and Installation Artist, he also prescribes some serious dubs as a Selekta at heart. 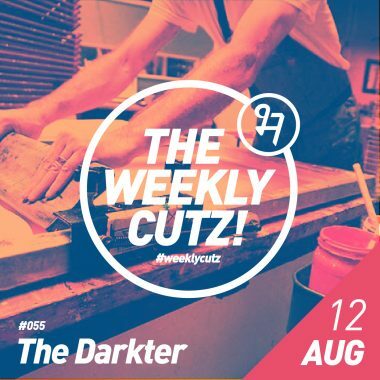 We got in touch with him to curate us something special this week. Here’s the list from TheDarkter. Easy riddim with proper roots style love. Pumpy flirty one. Mungo's hifi producing some amazing skanky rythm and beats clubbed with a gritty Marina P voice. A proper reggae style love song. Such good feels on this classic. Well produced smoothie, clubbed with a beautiful, gritty and soulful Marina P tone. Reggae funk done just right. Some pretty sweet guitar work in here. Big respect to Sister Nancy, she fought strong for the rights to this tracks, for years it was being sampled and she never got a dime for it. Finally she won and deserves all the royalty coming her way. Nonetheless, this is an iconic tune. A real queen, big love for that lyrical fiya ridding on the riddim. Co founder on Tartula Records. There's another version by Laid Blak. Listen now! All the way from 1994, worldwide hit, a beautiful old school rocksteady tune.